Making the decision to own and run a business is a risk – every aspiring business owner knows that. When you saddle yourself with a crippling business mortgage, leave your secure job and decide to strike out on your own, it’s a risk that you have been willing to take and one that could prove to be very fruitful. The rewards of owning a small business can far outweigh the risks and the risk is worth it, but protecting yourself from as many issues as possible is of great importance. There are things that businesses cannot control; natural disasters, theft and accidents being a few, but you can identity the risks early and do everything you can to cushion yourself if these things happen. The intelligent thing to do as a business is look at all the possible disasters at the very beginning and having plans in place to help if the worst ever did happen to you. We’ve got a list of business risks and how you can overcome each one, so take a look and see how you can cushion yourself from risk. Starting a business is always going to be a financial risk. You’re pouring money into a question of whether it will be successful or not. Some of the biggest risks to businesses are financially linked so having a backup is a must, which is why credit lines from https://businesslineof.credit can be a lifesaver. You may have your business account and your overdraft, but a line of credit can be a wonderful cushion if your business plan goes a bit wonky! A smooth-running business is one that continues on no matter what, but if a hurricane storms through your city there’s not too much you can do except shut down for safety purposes. Set up a disaster recovery plan in case of fire and flood. This shouldn’t just include office space, but your data management and computers. Business interruption insurance is important so read more about that here. Businesses need to have adequate insurance to protect them from workplace lawsuits. If your business includes interaction with members of the public, you’ll need solid public liability insurance. 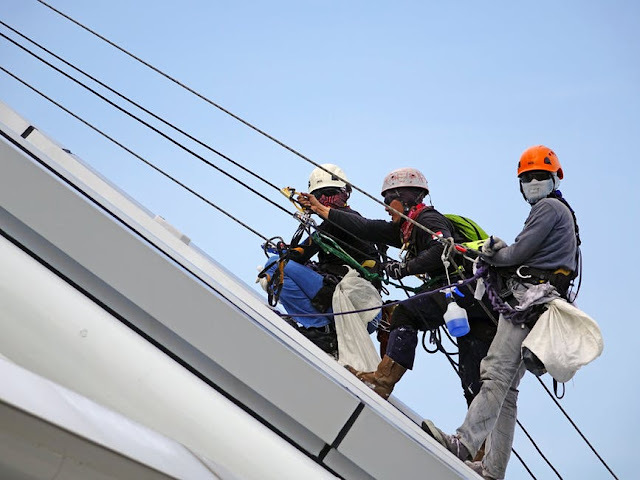 Workplace injuries should always be covered with insurance, but this will balloon if injuries take place. Risk assessments, correct training and any procedures that deal with machinery should be stringent, even if this means getting in an outside company to help. We live in a digital world that is increasingly at risk of fraud and data theft. You need to have the right plans in place to protect yourself from this type of theft and have a very tight IT team on hand for any issues. Your business is going to be bolstered by the money and time you pump into it. Don’t let that all go to waste by not protecting yourself along the way. Take the time to do right by your company. I hope you enjoyed this article about how to minimize your business risks and liabilities.